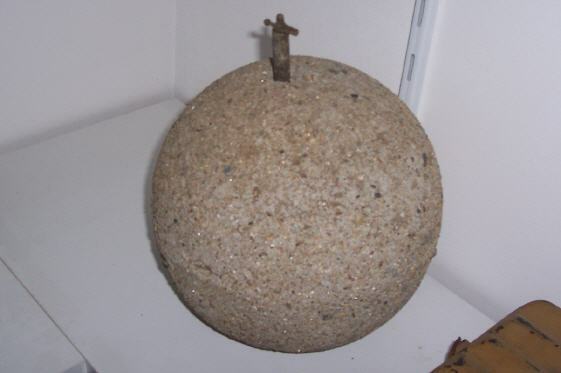 These spherical concrete "bombs" were improvised in the field. Concrete could be mixed with steel fragments. 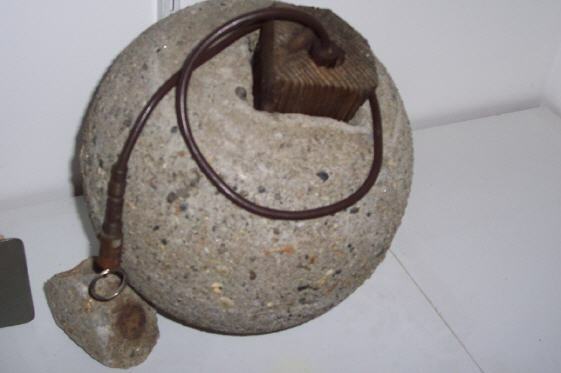 Concrete could be cast around a charge, or a charge could be placed in the concrete body afterwards, fixing it with wood, like on the photo. I believe many forms of these can be encountered.